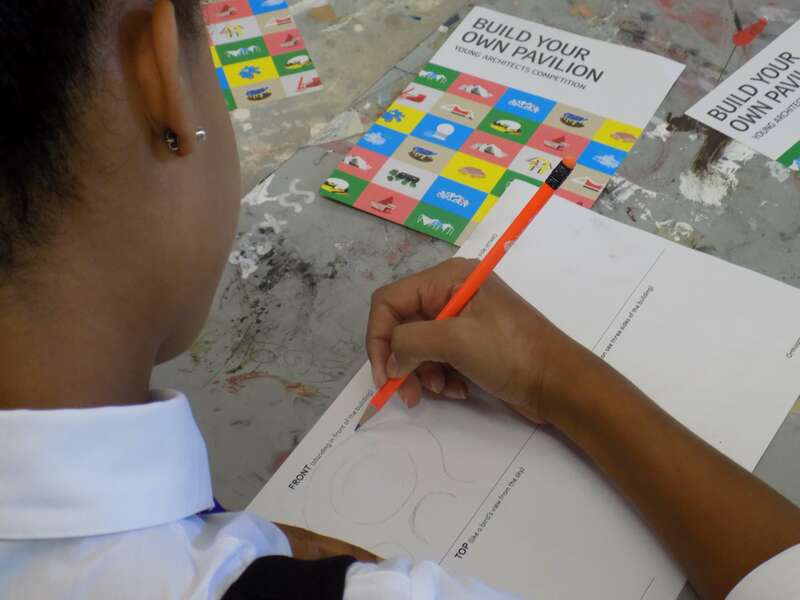 On Monday 31 August the Build Your Own Pavilion team were welcomed to Edinburgh College of Art (ECA) by architect and Director of Research Ed Hollis. Students from Broxburn Academy and Forrester High School came to look around the College and make their Pavilions with Dejan and the team. Agnia, Chloe, Rebecca, Tia, Abbie, Hannah, Jessica, Karolina, Sarah, Frank, Lauren and Sophie took inspiration from abstract forms and began drawing using geometric shapes as a base and then incorporating free-form curves and slicing diagonal lines. 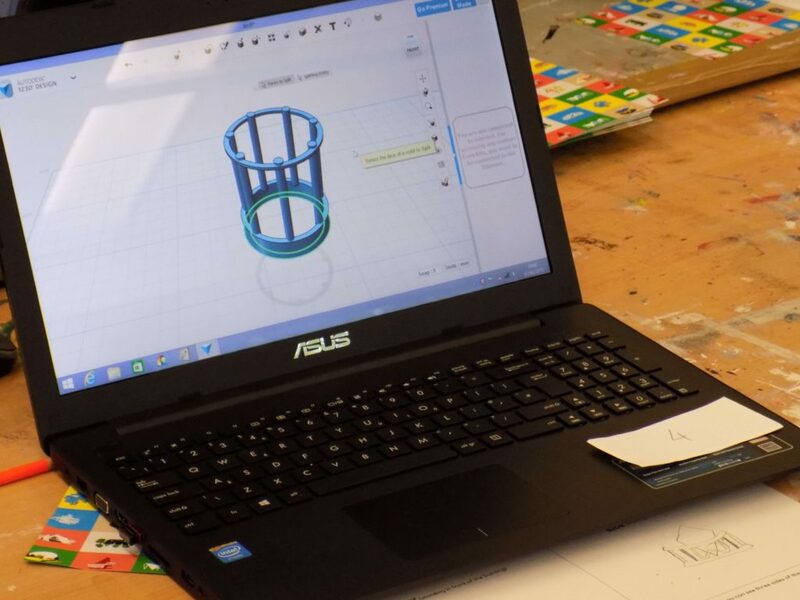 They then started 3D sketching using the Autodesk 123D software and soon towers, domes and colonnades were rising up. For a while it was completely silent apart from the clicking of mice as everyone concentrated on their designs (which, as Ed said, is just like a professional architect’s office!). 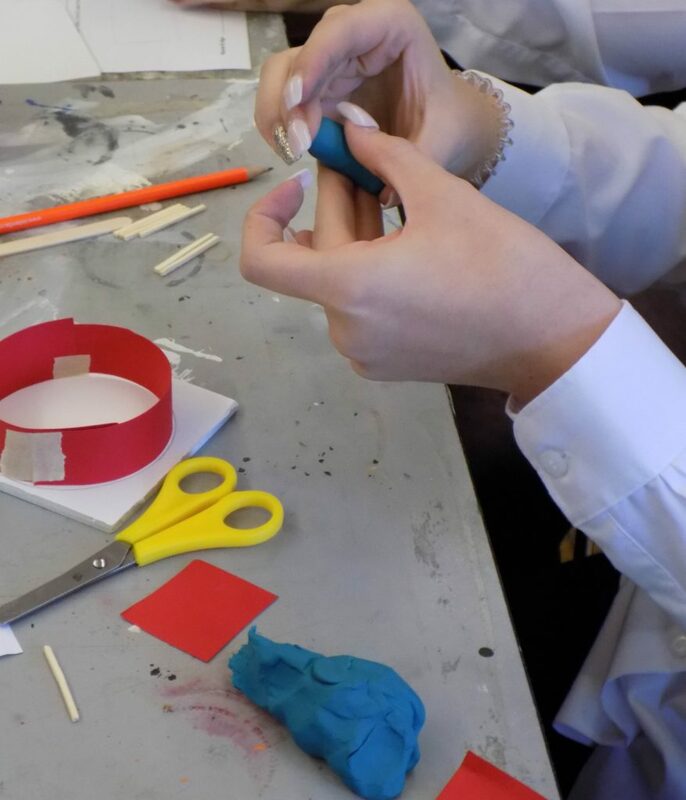 After choosing from a table of materials including foam board, plasticine, coloured acetate, wooden sticks, string, paper and felt, they began building their model Pavilions. An array of techniques were used: putting the sticks in the foam board to create different levels; carving; folding and cutting paper; matchstick columns; using wire to create curves and acetate for roof shapes. You can see all the Edinburgh designs at the ‘Your Pavilions’ page. Can you guess which of the models were inspired by an hourglass, greenhouse or wheel? Karolina’s geometric cube design was chosen to the printed. We think it has echoes of Toyo Ito and Cecil Balmond’s 2002 Pavilion and love the clean lines and minimalist style. 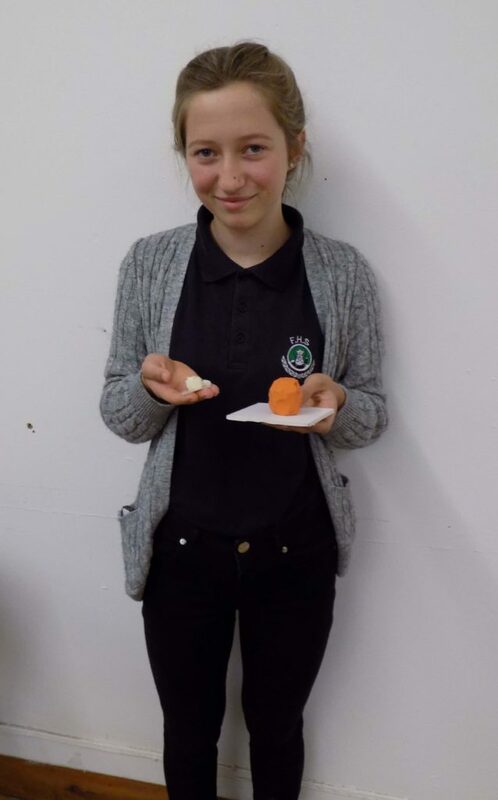 Dejan took the group to the College’s workshop to see the 3D printer in action and Karolina came back with an elegant, miniature model that delicately echoed her hand-made Pavilion.